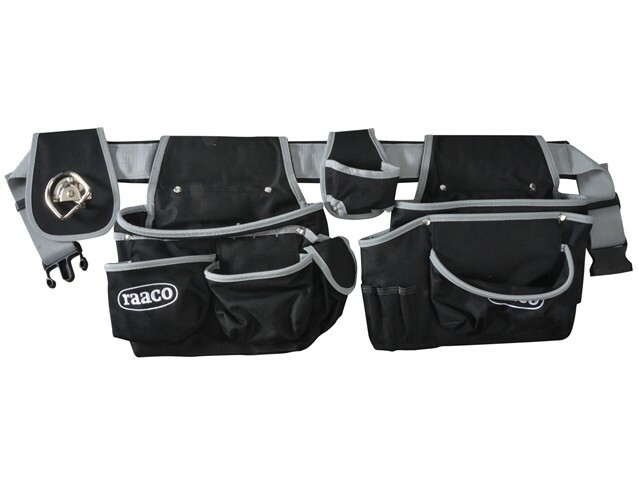 The Raaco Tool Belt is ideal for keeping screwdrivers, tape measures, brushes and many more of your favourite tools to hand. It is a 14 pocket tool belt with a quick release buckle and has an adjustable waist size 31-51in (80-130cm). The belt has additional padding for extra comfort and is made from tear-resistant polyester.